By Jan Comments Off on Road Trip! John Travis is leading a 9-day Retreat at Oakwood Retreat Center (near Muncie, Indiana) from October 19-28. It’s short notice (I just found out about this on Friday night), but if you can manage to arrange your schedule and make the trip….do it! John is terrific. He is one of the teachers at the annual New Year’s Retreat at Spirit Rock, which is where I’ve sat with him. 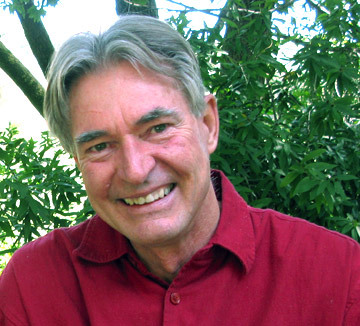 He’s deeply, deeply rooted in both Vipassana and Tibetan practices…has a sweet, gentle style and presence…and an amazing life story that includes living in India, Nepal, Thailand and Burma. You can read more about him here. I’ve already committed to be at a different retreat, or I’d be going. Tri-State Dharma is sponsoring this event. There’s no on-line registration, but if you’re interested, send an email to Joan Staubach or Bridget Rolens.